Charlie Dalton Hughes of Grandview, Texas passed away November 30, 2018 at home surrounded by his loved ones. Visitation: Grandview Church of Christ 6:30 - 8:30 on Sunday, December 2, 2018. Interment immediately following at the Grandview Cemetery. Charley was born to Luke and Kathleen (Roane) Hughes in Grandview on August 31, 1936. He was drafted into the Army in July 1959 and served until January 1961 where he liked to brag that his IQ was so high that he was placed in the Intelligence Division. 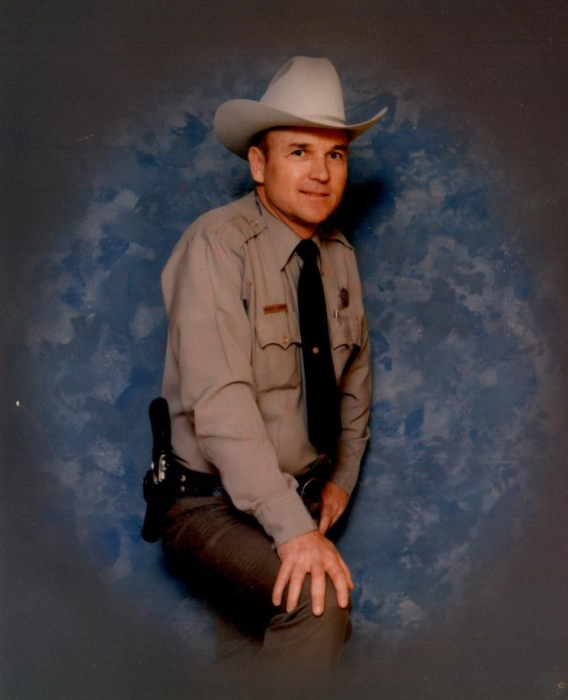 Charley started his career with the Texas Parks and Wildlife Department as a game warden in 1962 in Williamson County, Texas. He was promoted up to District Supervisor in the Waco office. Upon his retirement he was serving as commander of the regional office of TPWD in Fort Worth Texas. Charley retired in September 1993. Charley was an avid gardener and loved planting and harvesting his huge garden every spring. He tried to instill his love of gardening in his four grandsons who loved to set up in downtown Grandview and sell their produce. Charley is survived by his wife Janice Birch Hughes of 49 years (he said it was 50), his daughter Kayse Hughes Moore and husband Kevin, Grandsons: Dalton, Dawson, Dylan and Devan Moore. His surviving brothers are Willis Hughes and wife Lenora, Benny Hughes and wife Carolyn, Danny Hughes and wife Sue, and numerous nieces and nephews. Charley is preceded in death by his parents, Luke and Kathleen Hughes, brothers Joe and Wayne Hughes and niece, Angela Hughes. In lieu of flowers, donations may be made to Pulmonary Fibrosis Foundation.